Your Google Business Page. It does lots more that you think! 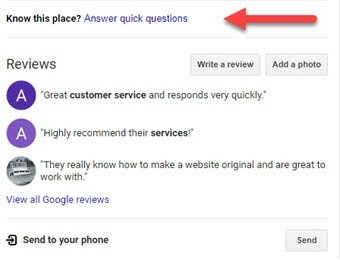 Google has recently integrated FREE powerful marketing features to put you in touch with customers at the ground level. Let’s take a quick look at these new features. Find your Google Business Listing on desktop or mobile device. Notice there is a ‘QA section’ where a customer may submit questions. This is a great tool for customers who are in a hurry and want answers right away! 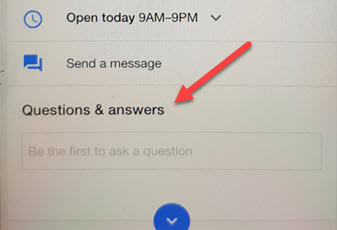 The customer must have a Gmail account to submit a question, and with more than 1 billion active Gmail accounts, chances are people will be asking questions. 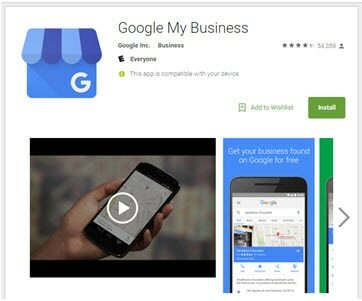 You will need to download the Google My Business app. to receive and manage question submissions for this new feature. You can download the app on Google Play or the iTunes Store. For all those folks who do not have a Gmail account can still contact you in real-time using the nifty SMS feature found on your Google My Business listing. 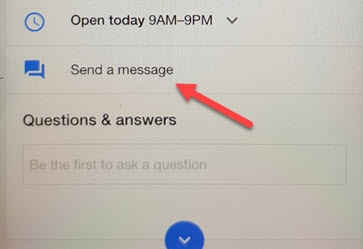 You can enable this feature by logging into your Google My Business account and click the TURN ON MESSAGING tab. No Gmail or Google account is needed. Now customers can SMS you in one click right from your Google Business Listing. About Google My Business on mobile Google My Business connects you with customers, whether they’re looking for you on Search, Maps, or mobile devices. • You can download the free app in the Google Play Store or from the App Store.